2nd & 3rd June, 11am to 8pm, free. 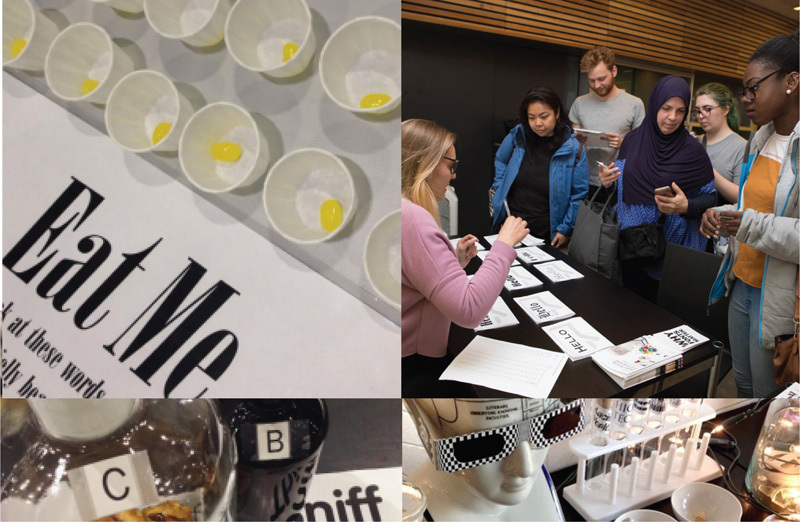 One of the experiments we ran at this event has now been published: The role of typeface curvilinearity on taste expectations and perception by Carlos Velasco, Sarah Hyndman (Type Tasting), Charles Spence (University of Oxford), International Journal of Gastronomy and Food Science, January 2018. 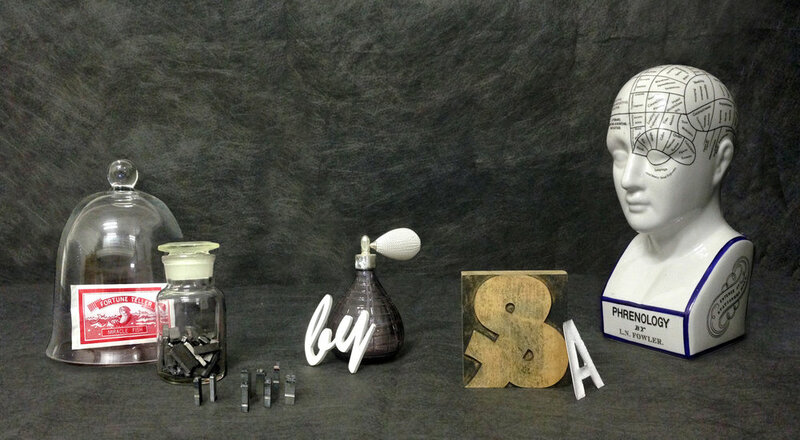 What does a font taste or smell like? 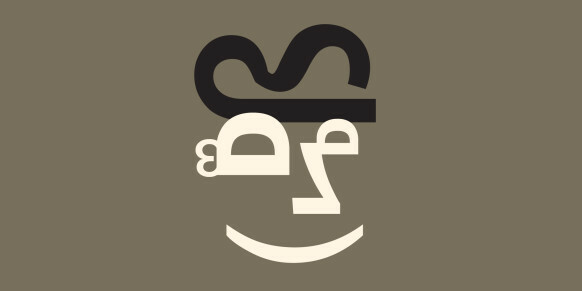 Do letterforms convey mood? 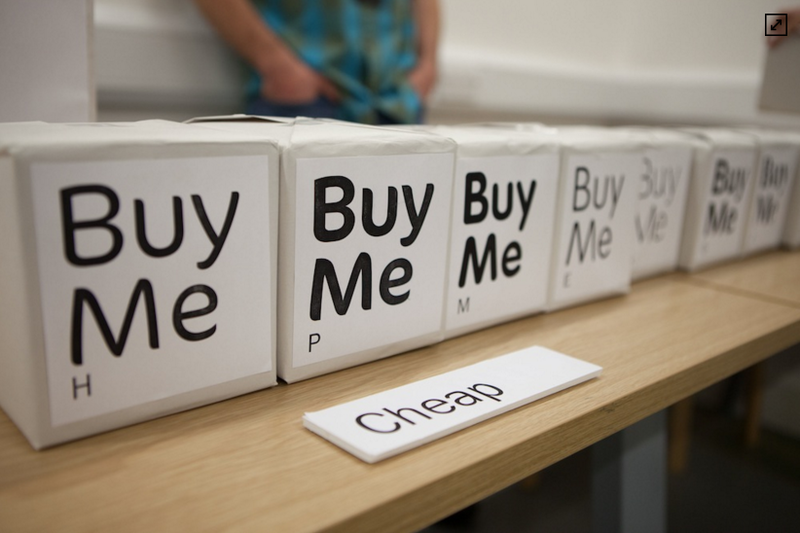 Can a typeface enhance your experiences? 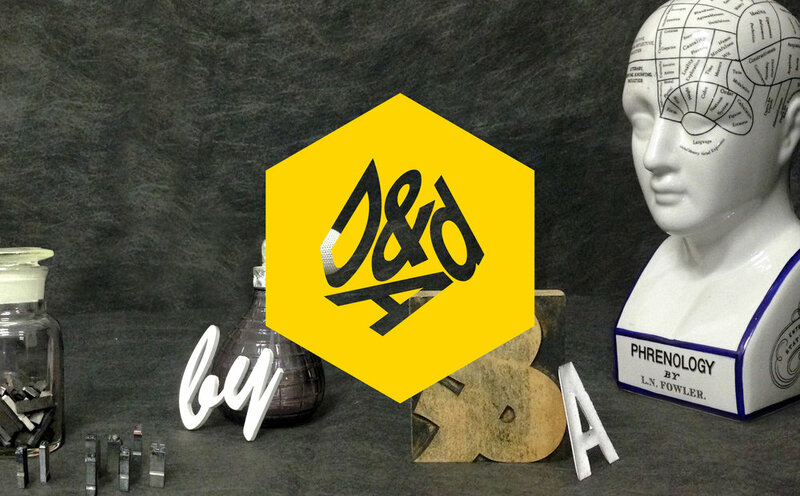 Author Sarah Hyndman invites you to take part in typographic experiments as part of her current research. The mobile laboratory will pop up at various festival locations throughout the weekend. Get location updates on Twitter at #TypeTastingLab. Hello it’s Natalie again! Here I am giving you another glimpse into the wild and wonderful things that I’ve been up to in the Type Tasting studio this week. 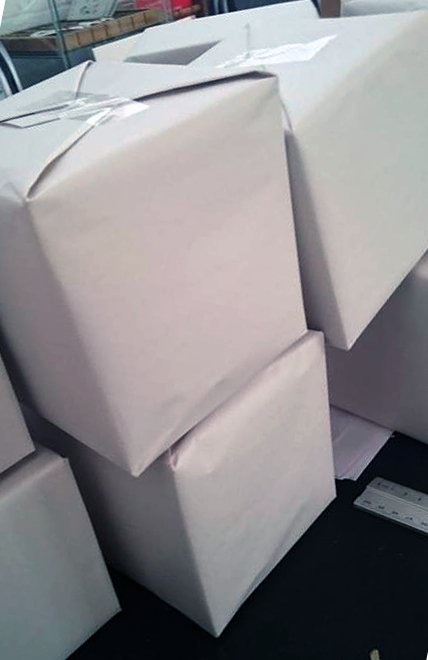 If you’d like to find out how sixteen carefully wrapped parcels and a rather cheeky looking answer box are going to be involved in this weekend’s event, then carry on reading. Welcome to the virtual Type Tasting access panel. 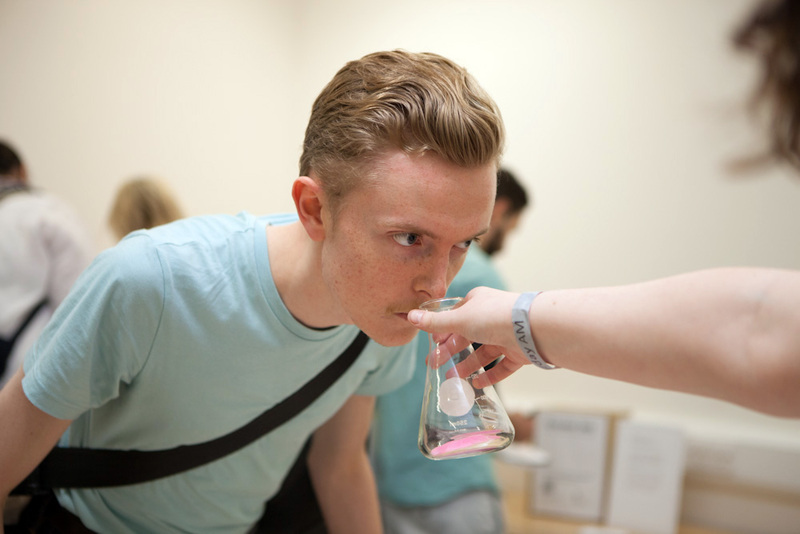 Here you have access to a selection of the research experiments that will be run live at the V&A in London in conjunction with the London Design Festival. 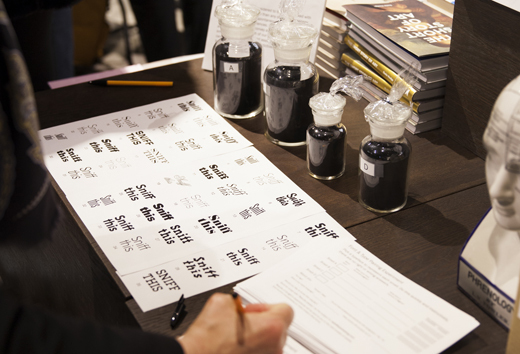 Participants in this Type Tasting survey were asked to match typefaces to different tastes and ultimately to identify what style of coffee each most closely resembles. 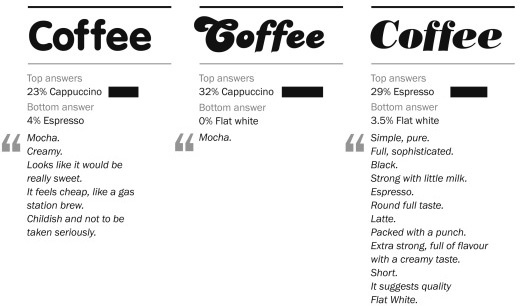 Here are the final matches of typefaces to coffee styles. Do you agree?